Things are looking GOOD if you find an unexpected pair of shoes; GREAT if you find two, and BINGO if you match them with a publication. 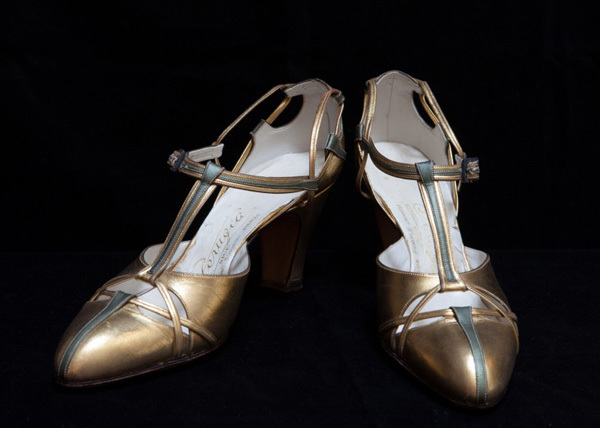 The first pair (below) of the highlighted Andrè Perugia shoe is kept at Villa La Pietra in Florence and was owned by Hortense Lenore Mitchell (1871-1962). 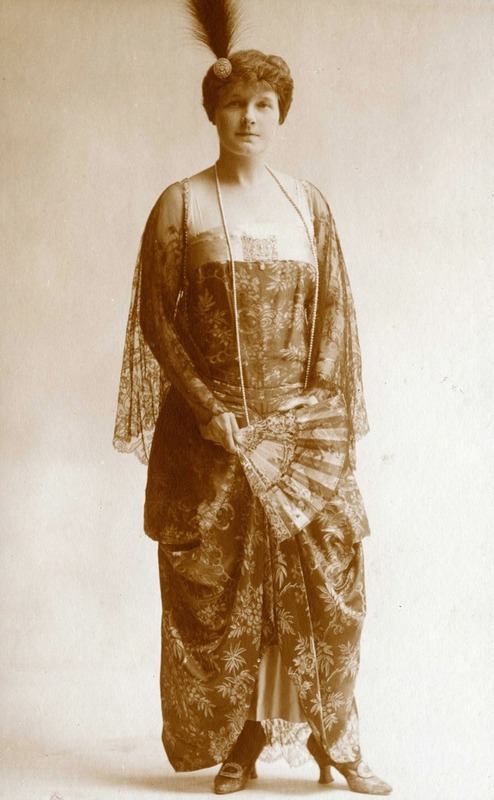 She was the wealthy daughter of William Hamilton Mitchell, founder of the Illinois Trust and Savings bank in Chicago. In 1903 she married Arthur Mario Acton and they moved into Villa La Pietra, on the via Bolognese in Florence. The second pair is now at the Victoria & Albert Museum in London once owned by Lady Dovercourt. "Pair of gold and green leather T-strap shoes. 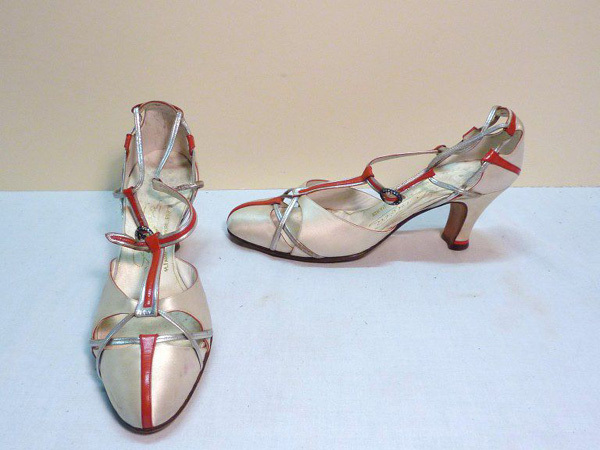 Label “Perugia 21 Avenue Notre Dame, Nice 11 Faubourg St.Honoré Paris"
Pair of white silk satin evening sandals, trimmed with red silk and gilded and silvered leather. It has a small diamanté-studded buckle at ankle and high heels. 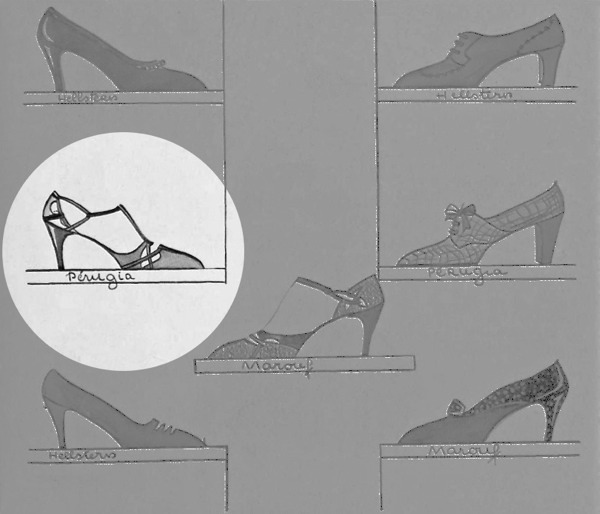 Label "Perugia NICE 11 rue de Faubourg PARIS"
The first known appearance of the V&A model was on the book "Shoes: Fashion And Fantasies" by Colin McDowell (Thames & Hudson, 1989) and it was dated 1930-1935. Not bad.